Why do we want to wear an ugly sweater? For some reasons we may never understand, the month of December influences people to bring out their most fabulous ugly sweater. 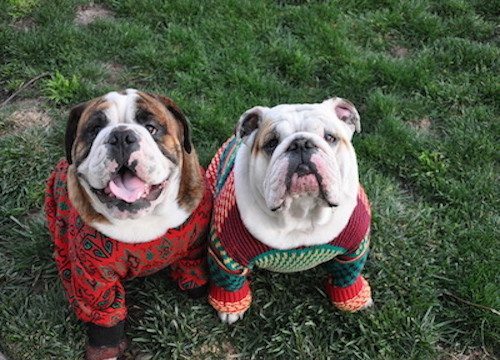 It has become so popular that the third Friday of December has been named “National Ugly Christmas Sweater Day” and this Friday, December 15th, people all over the U.S. will celebrate. So why do we want to wear something so hilariously hideous and how did it start? Maybe it was in the 80’s with shows like The Cosby Show and characters in movies like Chevy Chase in National Lampoon Christmas Vacation that lead the way for this trend to take off. Have no fear – from red and green pom-poms to silly designs; these ugly holiday sweaters are pretty easy to find. So next time you receive a holiday party invitation from your company or friends that states “Ugly Christmas Sweater Party,” don’t be afraid to wear the tackiest and gaudiest sweater you can find, the uglier, the better. People in the U.S. can’t wait to stay up to date with the latest fashion trend, even if it’s a bad one! Light it up – add some flashing lights!